A Thundercats.ws Exclusive courtesy of forum member LiarDice Films. 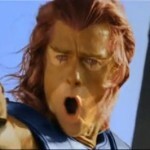 You may remember that there was a Thundercats live action/CG hybrid film in the works a few years back. You may also remember that some concept art and test footage from that project leaked out. Again, thanks to forum member LiarDice Films, we have some new exclusive production art from the cancelled Thundercats Movie. The art is by Dave Bullock, an artist and animator who has worked on Transformers: Prime, Teen Titans, Star Wars: The Clone Wars and many other projects. 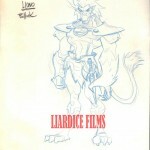 In this post you will find original concept art for Lion-O, Cheetara, Tygra, and Panthro, as well as some story board layouts. What are you waiting for, why are you still reading this? click the headline of the story to check it out. On the Great American Morning Show, Jada Pinkett Smith was asked about the “Smith Family” Thundercats live-action movie rumor that had been floating around. Unsurprisingly, she reveals that she had never heard this rumor, but confirms that there is no truth to it. But, she reveals how much she loved the original series. Check it out below (some profanity, so be warned). Thundercats talk starts around the 1:45 mark. Thundercats.ws forum member TCProducer of ThundercatsTheSeries.com stopped by to let us know that they are casting for a new web series. The new web series is meant to be a live action “fan imagining” on the Thundercats characters and mythos we all know and love. 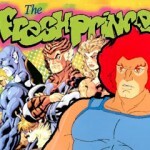 “Hey there everyone, we’re casting a “fan imagining” of the Thundercats – it will be live action and it will be awesome! We’re shooting 30 minutes which will be cut into 6 episodes for a web series starting in June. We’re hoping to have it out by 2012 depending on time in post production but our director has some big plans for it – think special effects ala Star Trek (2009). You can follow us on Facebook and Twitter or our website and even be part of the project. I’ll also post updates here as we move forward from casting photos to behind the scenes if you’d like. We here at Thundercats.ws wish them the best of luck. Will Smith Wants To Make A Thundercats Film? Welcome to Third Earff! According to ShowBiz Spy (who I’ve never heard of), Will Smith is apparently interested in producing and starring in a live action Thundercats. With absolutely no sources cited, take this with an Uncle Phil sized grain of salt. 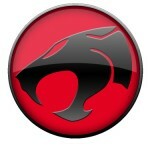 “WILL Smith wants to make a Thundercats movie! The Hollywood superstar is said to be looking to develop and star in a live action movie based on the cult cartoon capers of a group of cat people whose space ship crashes on a mysterious planet. “Will is a big Thundercats fan and even his kids are into it now,” says a source close to the Smiths. So more on this as it becomes available…Or gets debunked. Either or, we’ll cover it here. A few years ago, there was a feature length CGI and Live Action Thundercats film in development. 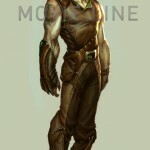 Concept Art eventually leaked out, showing a more modern sci-fi take on the Thundercats lore. Today, courtesy of Flixlist, we have some fantastic test footage from the doomed project. Click the headline of the story to check out the amazing art. A fan by the name of WormyT has created an amazing fan-made trailer for a live action Thundercats Movie Trailer! The effects were created frame by frame in Photoshop and then edited together using Adobe Premiere. This is likely the closest we will get to a live action movie for some time.